Two months ago, I was at the Library of Congress in Washington, D.C., researching through copies of The Hearing Dealer, a trade magazine for dealers and sellers of hearing aids during the 1950s. The magazine is an excellent historical source for examining how dealers went around cultural and legal restrictions for selling hearing aids to customers, especially customers who were resistant in purchasing a hearing aid. What’s really interesting about the magazine is how the articles emphasize regulating dealers’ behavior and selling tactics in order to prevent accusations of quackery or fraud–a constant theme in the history of hearing loss and “cures,” as readers of this blog know. 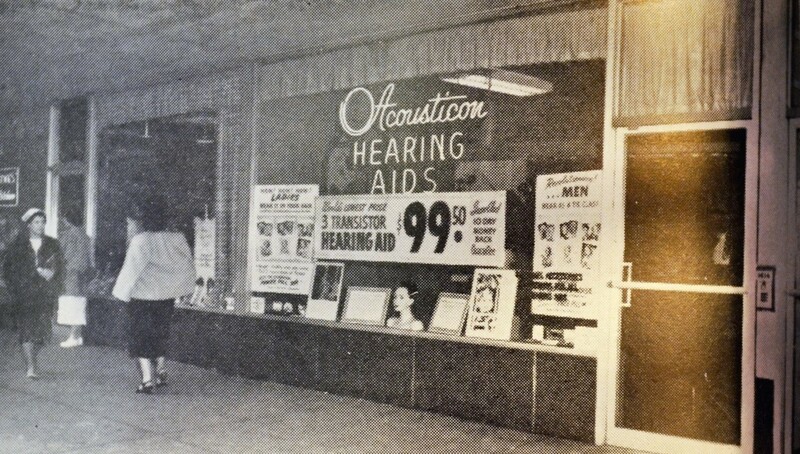 Few issues had articles on the proper method of displaying hearing aids in storefront windows. One writer recommended drawing attention to popular manufacturers’ brands–Zenith, Beltone, Macio–while another stressed changing up window displays to showcase the ever-evolving designs and improvements on hearing aids. For, of course, no one would want the outdated model if the latest design is on sale! 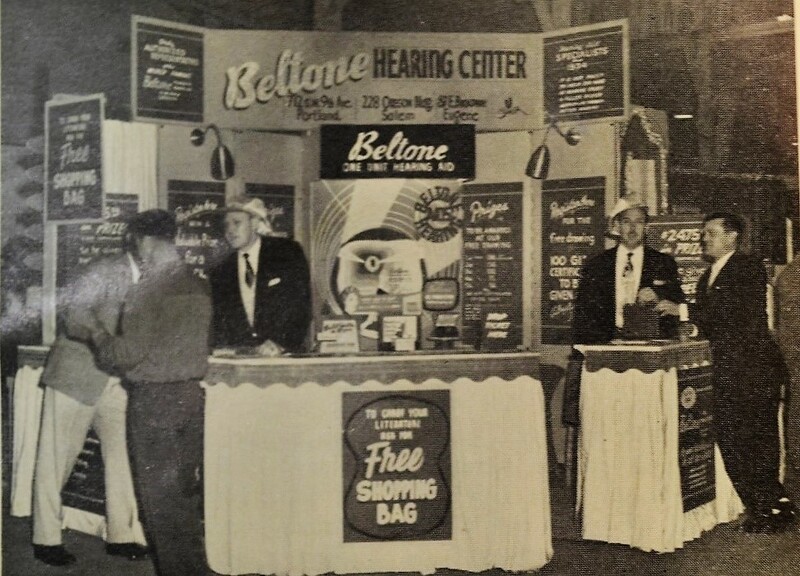 Beltone hearing aid exhibit at the Oregon State Fair, c.1956. The exhibit was designed by Harry L. Marx of Portland to attract and stop people in the aisles. Salesmen were required to wear flashy hats. A shop in a busy downtown location in Detriot, with a regularly changing window display. This shop also had a rear entrance leading to the office, for customers who wanted discretion. 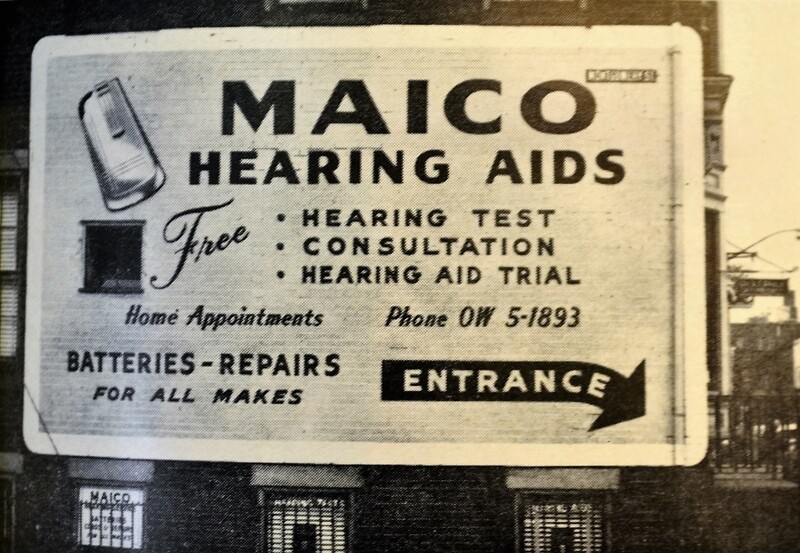 An enormous sign for a Macio Hearing Aids shop in Trenton. The billboard was effective in attracting large numbers of walk-in customers. 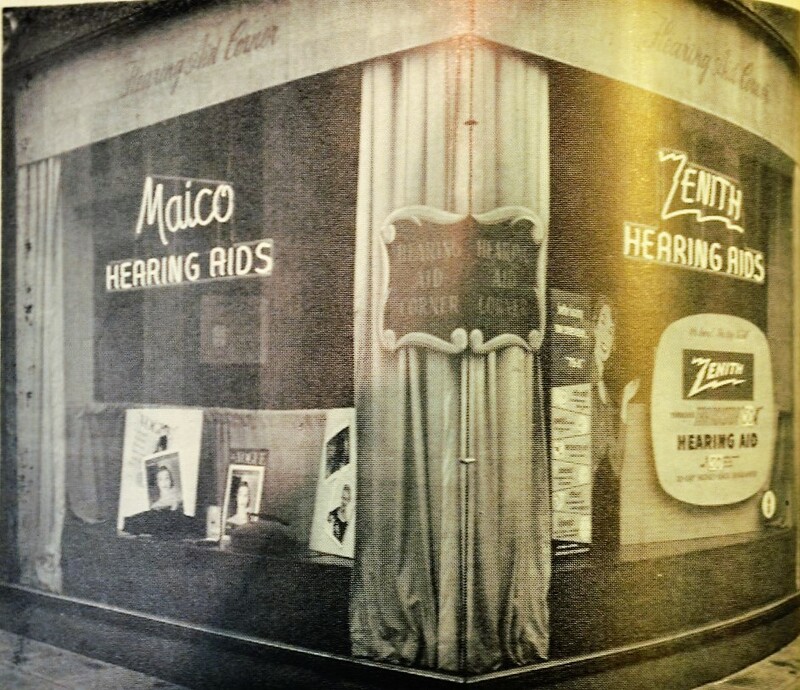 “Hearing Aid Corner:” A hearing aid store (location unnamed) highlighting two popular brands: Macio and Zenith. Inside the above store, with a display of “Progress in Hearing Aids,” showing the development and miniaturization of hearing aids since 1890s.